TRIPOLI, Libya -- Libyan leader Moammar Gadhafi was nowhere to be found Monday as his 42-year rule teetered on the brink of collapse. Months of NATO air strikes have left his Bab al-Aziziya compound in Tripoli largely demolished. Most of his security forces fled or surrendered when rebel forces rolled into the capital Sunday night and took control of most of the city. However, the situation remains fluid and elements of the regime still remained a threat. Diplomats acknowledge that covert teams from France, Britain and some East European states are providing critical assistance, without - they contend - compromising NATO's mandate from the United Nations to restrict its operations to protecting civilians. These largely unseen hands helped to transform the ragtag rebel army into the force storming Tripoli. Western intelligence agencies believe there is a "treasure trove" of material in Libyan intelligence archives, once Moammar Gadhafi's regime finally falls. The intelligence service's (and Gadhafi's own) role in the 1988 bombing of PanAm 103 and UTA 772 months later, which killed 430 people in the air and on the ground, as well as their role in the 1986 LaBelle Disco bombing in Berlin, which killed two U.S. soldiers and wounded 79 others. Support for various terrorist groups, including Palestinian groups, the Irish Republican Army (some sixty tons of arms were shipped to the IRA; many experts suggest these arms including explosives sustained the IRA for up to fifteen years. This resulted as we know in a dreadful cost in lives and injuries to UK citizens which can only be numbered in the thousands. ), the El Rukns street gang in Chicago and individual terrorists like Carlos the Jackal and Abu Nidal. A purported 1981 assassination plot against U.S. President Ronald Reagan. Gadhafi's financial support for the Pakistani nuclear weapons program in the 1980s and the relationship between Libya and Pakistani nuclear scientist A.Q. Khan a decade later, as well as Western countries that supported Gadhafi's chemical and biological weapons --programs. Gaddafi is accused of allegedly running Libya by suppressing political opponents, holding people without trial, and using torture. U.N. human rights experts say hundreds of people have disappeared in Libya in recent months, with some vanishing after going to anti-government demonstrations. It is also believed in the West that Gadaffi is responsible for the trafficking of slaves. 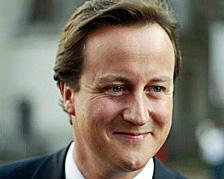 One thing is clear David Cameron and his Government made the right decision in supporting the Libyan freedom fighters. 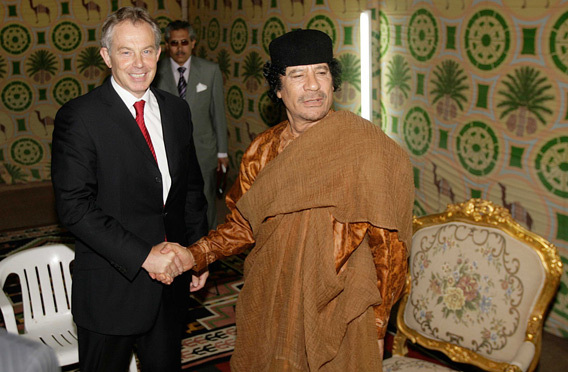 British personnel were allegedly providing training to Libya's security services after Tony Blair successfully led Libya into the Western fold. It is a Special Forces matter so has never been confirmed or denied by the Ministry of Defense, but much of the UK intelligence community believes it did happen. Maybe these Libyan intelligence archives will tell us? 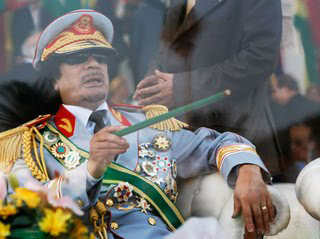 Muammar Gaddafi, the deposed leader of Libya, was captured and killed on 20 October 2011 during the Battle of Sirte. 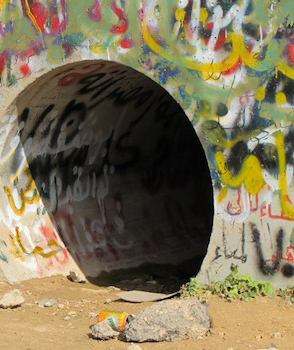 Gaddafi was found hiding in a culvert west of Sirte and captured by National Transitional Council forces. He was killed shortly afterwards. The NTC initially claimed he died from injuries sustained in a firefight when loyalist forces attempted to free him, although videos of his last moments show rebel fighters beating him and one of them sodomizing him with a bayonet before he was shot several times as he shouted for his life. • Conservatives have made more gains than at any election since 1931. We have made a net gain of 97 seats. Previously, the most seats gained by the Conservatives in a single election since 1931 was 87 – in the 1950 general election. • Conservatives record their second biggest swing from Labour since 1931. The Conservative Party has received a swing from Labour of 5.1 per cent, second only to that achieved by Margaret Thatcher in 1979 (5.3 per cent). • Labour have now lost more seats than at any General Election since 1931. Labour have made a net loss of 91 seats. Previously, the most seats lost by the Labour Party in a single election since 1931 was 78 – in the 1950 general election. • Conservatives exceed Labour’s 2005 number of votes. We have won more votes than Labour did when they won in 2005 – 10.7 million vs. 9.5 million. • Conservatives have clear majority of seats in England. We have more seats in England than Labour, the Lib Dems and Greens put together. We have a clear majority in England of around 60 seats. That's what he thinks of YOU!! A man convicted of murdering 270 people is released from a Scottish prison on compassionate grounds as he is dying of cancer. 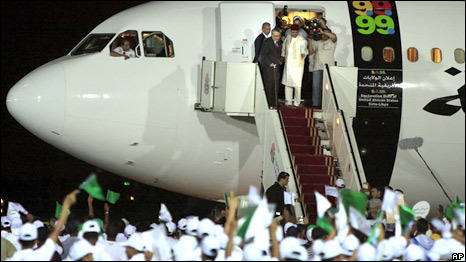 On his return to his country Libya he is given a hero’s welcome. He had served just under two weeks in prison for each of his murder victims. 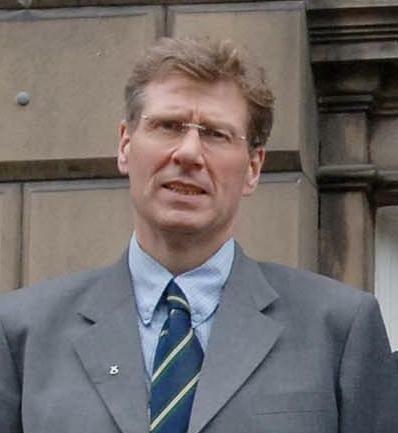 Scotland's justice minister, Kenny MacAskill said his decision to free al Megrahi "was not based on political, economic or diplomatic considerations. This was my decision and my decision alone, I stand by it and I live with the consequences." MacAskill said the warm homecoming for al-Megrahi breached assurances from Libyan authorities that "any return would be dealt with in a low-key and sensitive fashion." True to form our feeble PM Gordon Brown condemned the reception given to the Lockerbie bomber on his return to Libya – but failed to satisfy his critics by refusing to comment on the decision to release Ali al-Megrah. 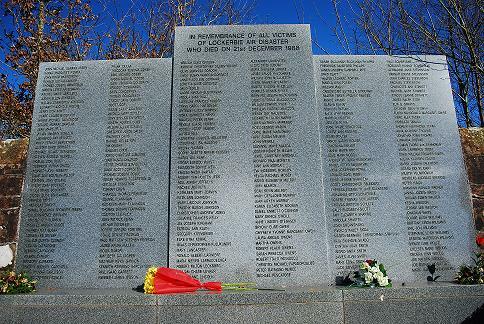 Foreign Secretary David Miliband also refused to comment on the release, he refused to say whether he agreed with the Scottish Justice Secretary Kenny MacAskill's decision to release Lockerbie bomber Abdelbaset Ali Mohmed Al Megrahi. 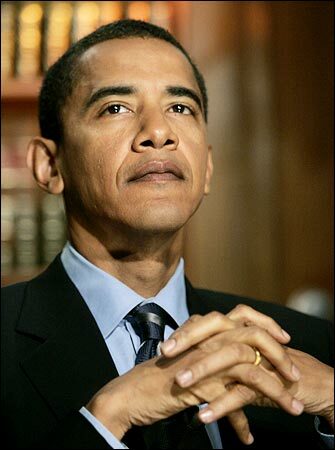 Barack Obama led strong US criticism of the decision. "We have been in contact with the Scottish government, indicating that we objected to this," he said. "We thought it was a mistake." 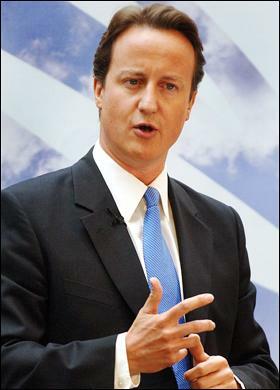 David Cameron said that the decision to free him was 'wrong' and the product of some 'completely nonsensical thinking. 'This man was convicted of murdering 270 people, he showed no compassion to them, they weren't allowed to go home and die with their relatives in their own bed and I think this is a very bad decision. The son of Colonel Gaddafi has claimed the "deal in the desert" more than two years ago which saw an agreement signed between Tony Blair and Libya allowing prisoner transfers - targeted the Lockerbie bomber, but Megrahi's name was never mentioned. 4 August 2009 Disappointing Results from our Primary Schools. 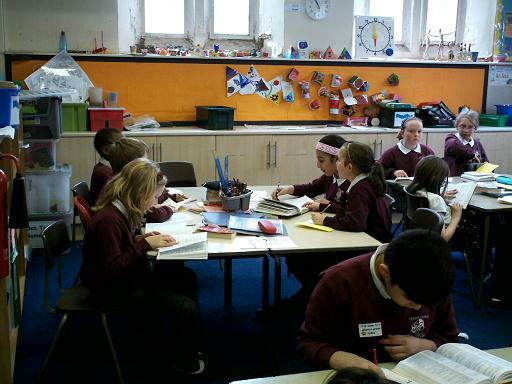 A FIFTH of primary school students are failing to reach the level expected of them in English, according to the latest national curriculum results. Liberal Democrats stated the figures reveal more than half a million children have left primary school unable to read or write since Labour came to power in 1997. Education spokesman David Laws said proven schemes were not being used sufficiently and called for smaller class sizes and increased school funding. Question:- Increase school funding, where is the money coming from? The Government are borrowing over £200 billion a year? Surely when it is discovered a child is having trouble reading parts of the school curriculum should be allowed to be dropped for that child, so they can concentrate on reading and writing. We must give flexibility to our Schools and Teachers. Data from the Office for National Statistics showed that vacancies fell to a record low of 429,000 in the three months to June, down by 35,000 from the previous quarter. Manufacturing jobs continued to fall, down by 201,000 over the past year to a record low of 2.6 million. 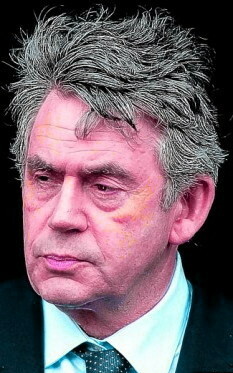 On 5 April 2000, in a speech to British Chambers of Commerce national conference, Gordon Brown said the Labour Government had established its new monetary framework "to avoid the historic British problem - the violence of the repeated boom and bust cycles of the past". Gordon Brown's decision to sell off part of the country's gold reserves 10 years ago cost the public purse nearly £5billion. 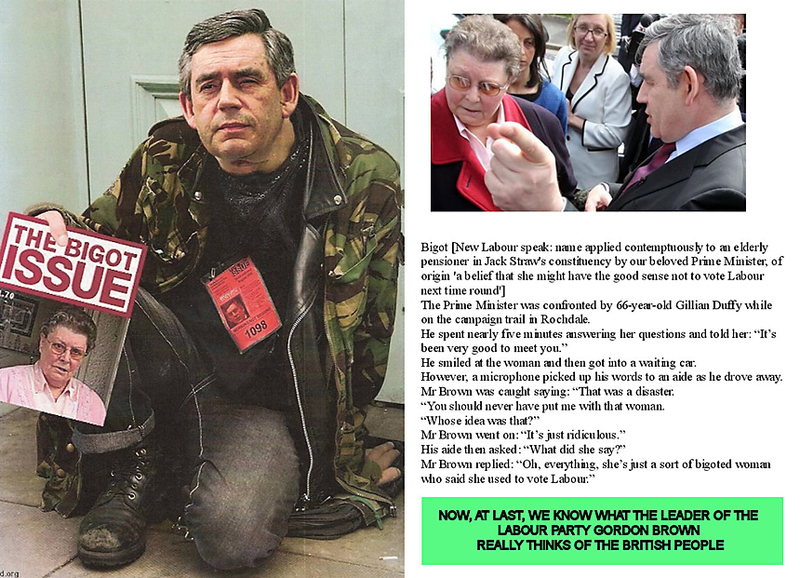 Gordon Brown has a PhD in History from the University of Edinburgh and spent his early career working as a television journalist. 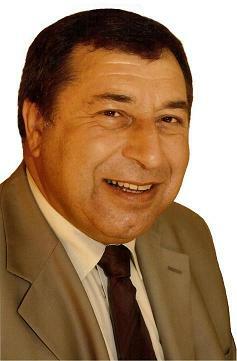 He has been a Member of Parliament since 1983. 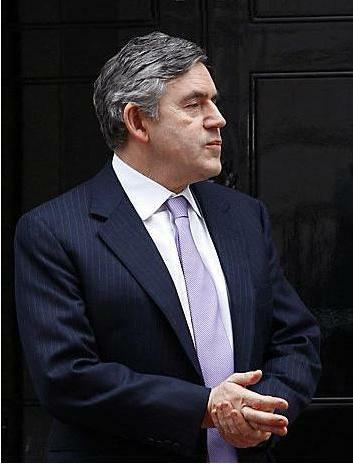 Whether you believe Gordon Brown should have sold our gold or not is another issue. To announce the sale of this gold to the world resulted in a 20 year low for the gold price. Whitehall source insisted that the Government could not have been expected to behave like a precious metal trader when it sold the gold. Why did Dr Brown not hire one? Moral of the story, If you don’t know what you’re doing ask somebody that does. 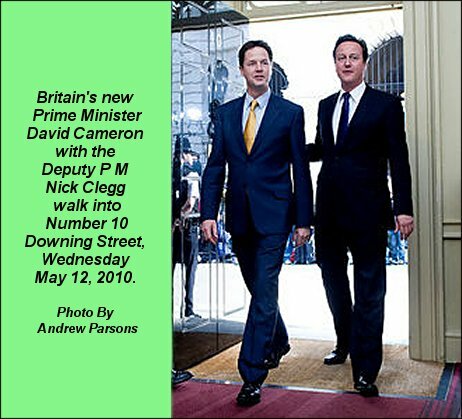 24 July 2009 - A Labour majority of five thousand turned into a Conservative majority of over seven thousand. 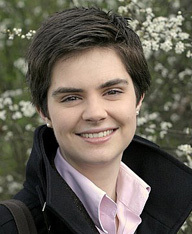 ‘Chloe fought this campaign in a positive way about the issues that really matter to people on the doorstep. In contrast, the Labour campaign was full of lies and half-truths. It's time they learnt the lesson that trying to scare people by lying about your opponents does more damage to you than it does to them‘. He described the Labour campaign as utterly despicable having told the electorate that a Conservative Government would scrap free pensioners TV licences, free travel concessions and pensioners credit. All of which he said and we all know are totally untrue. David's remarks about the lies told by Labour should echo across the country. 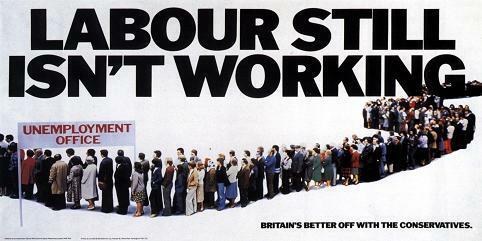 I am convinced as the Labour party approach Judgement Day, their propaganda will get even worse. 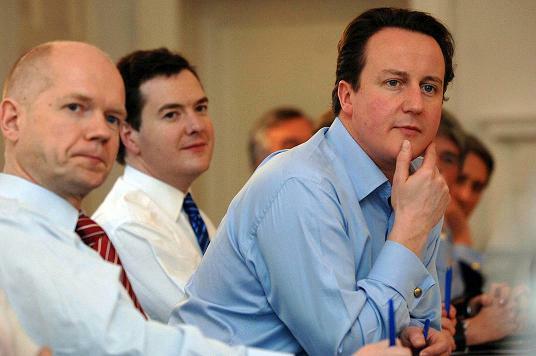 A cornered rat is at it’s most dangerous and this lot are probably as cornered now as they ever will be. I witness this in the County Election for Aldershot East personal attacks, misinformation and half truths, Locally and Nationally that is all Labour have left to offer the people. Ian Gibson the sitting MP has announced he will not be running as an Independent or Independent Labour candidate in an attempt to win his seat from the Labour party after being deselected from the next election. I was first chosen to be the Conservative candidate for the constituency of Norwich North by local people 18 months ago. Since then, I've been working hard for people in Norwich and the surrounding communities - for instance, campaigning against the closure of the NHS walk-in centre at Thorpe St.
Andrew, fighting for justice following the Greyhound Opending homes scandal, and working to improve the quality of council housing. In the forthcoming by-election, you have the unique opportunity to vote for change. You can send a direct message to Gordon Brown about MPs' expenses, about the economy and about the debt crisis by voting Conservative. But the by-election is also about who represents our local community. I haven't just arrived here for the by-election: I have a long-standing record of campaigning for our community. I will be a strong, local MP who will stand up for you. First Secretary of State, Secretary of State for Business, Innovation & Skills and Lord President of the Council Rt Hon Peter Mandelson Baron Mandelson of Foy & Hartlepool earns £104,386 per year. Plus taxpayer-funded EU pay worth £234,000 over three years. (which will also be subject to preferential tax rates devised for EU officials.) ---- That's a total of £182,386 per year or £3,507 per weak. 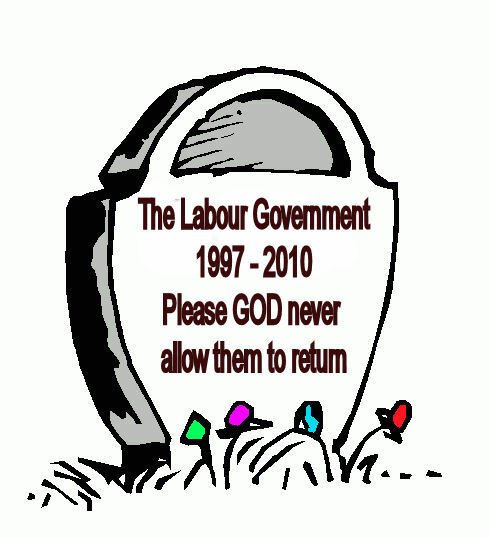 What was the name of the song that heralded in the first Labour Government in 1997, was it "Things can only Get Better?" The Rt Hon Tony McNulty MP minister for Employment (Salary £104,050) has become the latest minister to resign, as the exodus from Gordon Brown’s Government descended into farce. McNulty’s position had become complicated in the wake of the expenses row, after he was found to be claiming a second home allowance on the house his parents lived in. Mr McNulty lives just three miles from Westminster with his wife Christine Gilbert who earns £225,000 a year as head of Ofsted, chief inspector of schools, but claimed the cash for the home his parents live in 11 miles away in his Harrow constituency. Mr McNulty insisted he had not broken the rules, but he acknowledged that his arrangements appeared 'odd' and confirmed that he had stopped claiming the controversial Additional Costs Allowance in January, he has so far refused to return the £59,998 (tax free) insisting he worked at the house at weekends when he was in the constituency. When confronted by The Mail on Sunday, Mr McNulty said "Any MP within 60 miles of Westminster should be banned from getting the handout, instead MPs should be paid a 'proper' salary." As part of our action on expenses, all claims by Conservative Shadow Cabinet and Frontbenchers are being published in real time. Comment: Come in Number Ten, Your Time's Up! In the 2005 general election Tony Blair promised the British people he would never surrender the £4bn a year EU rebate won by Margaret Thatcher in 1984, which was to compensate Britain for the poor deal it secured when it joined the EU in 1973. The great actor our feeble Prime Minister met his “Waterloo” a few months later at an EU summit over a plate of French cheese and a bottle of German wine. 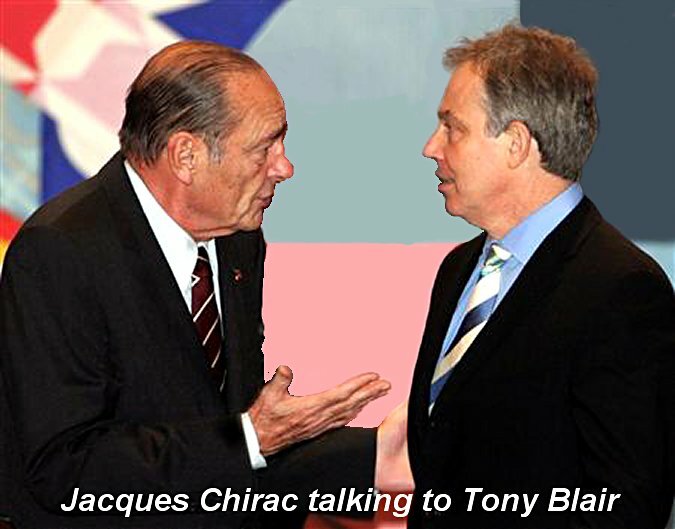 Where he was bullied by the wiley French President Jacques Chirac to hand over our rebate. Tony Blair had vowed not to put a penny on the table without reform of the common agricultural policy. He settled for a meaningless review clause. Since then the UK has lost billions. Actor HUGH GRANT has hailed British Prime Minister TONY BLAIR as a fantastic actor, because he really believes in his flawed policies. 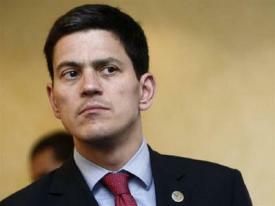 The NOTTING HILL heart-throb is worried that the UK electorate have been sucked in by what he sees as Blair's lies. 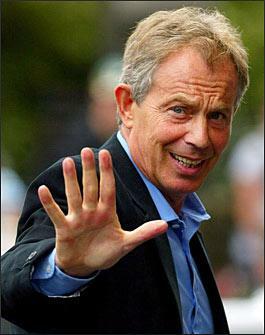 He says, "I've always felt slightly worried about Tony Blair because he seems just to be an actor. But he's an interesting actor. "Everything he says is wrong and yet he seems to really believe in it." How true! He deserves an Oscar for his quivering lip performances. 15th of June 2009. Prime Minister Gordon Brown announced a long-awaited probe into Britain's decision to join the 2003 invasion of Iraq but opponents accused him of a cover-up by holding the inquiry in private. 23rd of June 2009. Gordon Brown's decision to hold the Iraq inquiry in secret has been reversed after the chairman of the inquiry, Sir John Chilcot, said that as much of it as possible would be held in public. The inquiry will not report until after the next general election but the prospect of a series of public hearings on the failures of the Iraq war is still likely to prove embarrassing for Labour. Why didn't Gordon Brown announce this in the first place? It's obvious he and his Government are so out of touch. 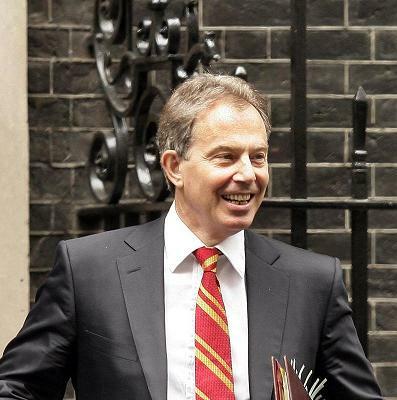 Tony Blair stepped down as PM on the 27th of June 2007. For me he will always be remembered for his headline-grabbing claim that Iraq could deploy weapons of mass destruction within 45 minutes.